Our family-owned company is at home all over the world. We have a presence at 46 locations around the globe. This global presence gives you new horizons and the chance to look beyond traditional boundaries – for instance in the USA, China, Ireland or Brazil. But regardless of location, at KOSTAL teamwork runs in the family. We consistently pursue a target of zero errors. This is an ambitious challenge that will awaken your ambition too. You will soon be given responsibility. KOSTAL offers you a wide range of career opportunities. As well as traditional career paths we offer individual specialist and project-based opportunities in Germany and abroad. To help you develop your soft and technical skills, we offer tailor-made development opportunities such as our management assessment centre. This important component of our human resources strategy is designed to fill our management positions with our own people. Long-term collaboration is another defining feature of our family. The large number of employees who celebrate long service anniversaries and the very low turnover rate speak volumes about the quality of the working environment at KOSTAL. Many of our employees started their careers as trainees in our company and now hold management positions in Germany and abroad. To be a successful part of our world-leading company, you must continually be on the search for optimum solutions and new ideas. As a technology leader we invest around 7% of revenue every year in research and development. This is both a powerful statement and a solid basis on which to tackle challenges successfully as an effective team. We support your personal development through individual needs analyses and tailored training measures. Are you ready for the challenge of working for one of our international subsidiaries? 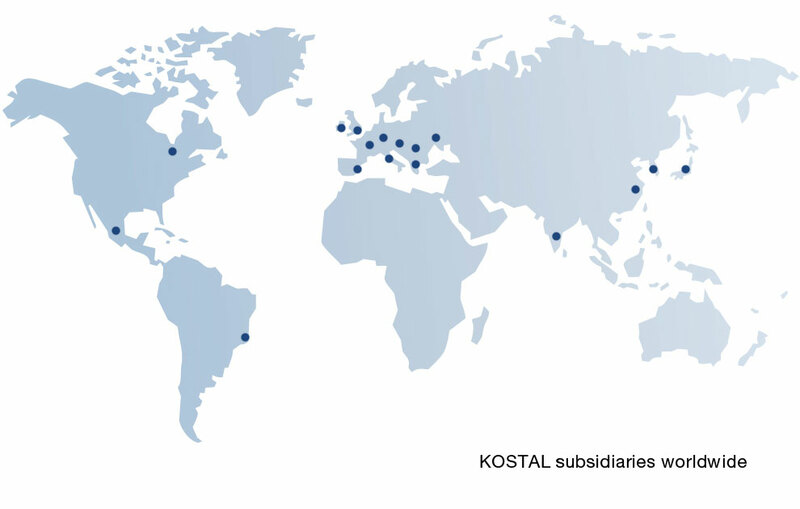 You will find the addresses of our subsidiary companies at www.kostal.com. Whether you are an intern, new graduate, Young Professional or Professional, at KOSTAL we offer international opportunities. Develop your career with KOSTAL – worldwide!